Holidays are coming up and party planning is in full swing. Whether you’re planning to have a company soirée, family get together, or the classic ugly sweater extravaganza, you’ll need to make the necessary preparations. Potentially the most important facet of a party is the food. So how do you ensure success? Let’s take a look at these catering dos and dont’s, so you can avoid the worst mishap imaginable. For places of business or homes, it’s important to ensure you have designated a place for the catering to be set up, ahead of time. In addition, if there are specific decor or instructions you have for the caterers, make sure to spell out directions for them. Don’t wait to plan the food for your event. Catering should be one of the first phone calls made when a date and place is decided. Before the day of the event, have all of your final payments, number of attendants, and any other information vendors may need, finalized and sent to necessary departments. While it may be tempting to cook for the event yourself, don’t. A great way to ensure you enjoy your own event is to have professionals take care of big items like catering. On the day of, by making all necessary arrangements, you will set yourself up for an enjoyable time without the fuss. To help you avoid a potential party disaster, try to pick a catering company who is versatile in their menu. This will help by providing variety to potentially picky eaters or those with food allergies. As we mentioned in the preparation section above, don’t leave things to the last minute. Considering taste preferences of your guests ahead of time will help the entire event go smoothly. Your party deserves the fun flair you’re looking floor! At Maine-ly Sandwiches, we provide a unique and delicious experience for your guests. 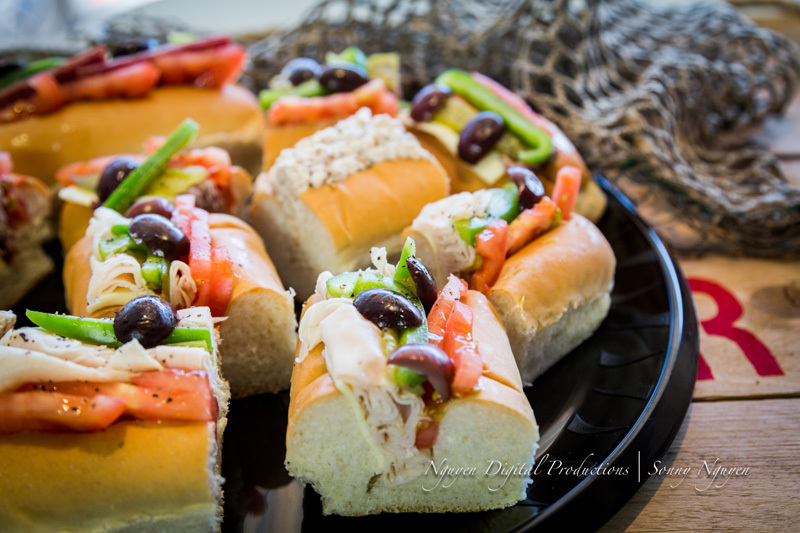 From sandwich trays, to soups and salads, we’re sure to have options to please your attendees. To bring a fresh taste of Maine to your Texan cuisine, call us today and schedule our catering services! Or click here to check out our catering menu.